Members enjoy a round of golf. From left, SUNY Stony Brook Local 614 3rd Vice President Adam Riddick, Local 614 Recording Secretary Joseph Mannino, Suffolk Local 852 member Susanna Lo Voi Deer Park School District Unit Executive Vice and Local 614 member Hassan Bias. The 9th Annual Region One Golf Classic continues to be a great event, which members attend to support the region’s Send a Kid to Camp Scholarship Fund. The scholarship fund was created to send the children of CSEA members to summer camp. This year, the event raised $5,000. Long Island Region President Nick LaMorte said that he had our newer members in mind when he created the scholarship fund. Deer Park School District Unit Executive Vice and Local 614 member Hassan Bias. President Dennis Walker and Deer Park School District Unit President Larry Mangan head to the next hole. 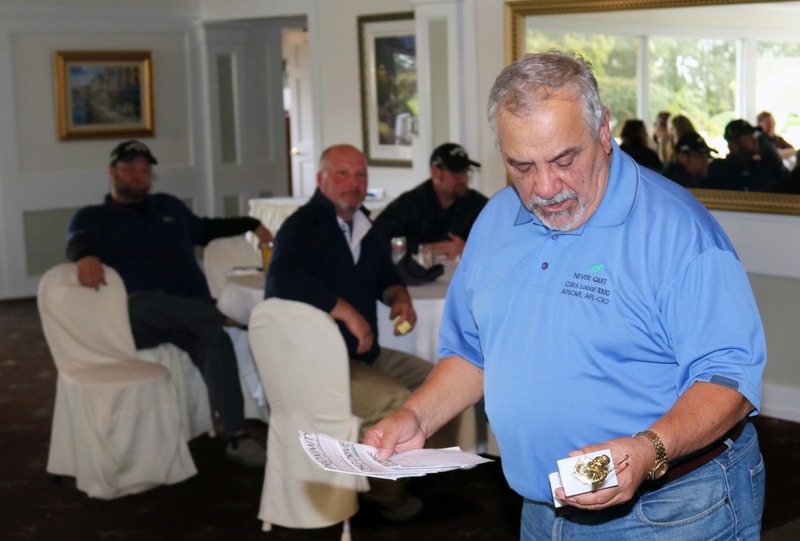 Riverhead School District Non-Instructional Unit members Joe Hartmann and George Aleksandrowicz are just two of the people who supported this year’s Long Island Region golf outing. Suffolk Local 852 member Laurie Boland tees off. Metropolitan Region President Lester Crockett came out to support the region’s golf outing. Nassau Local 830 8th Vice President and Long Island Region Social Committee member Kelvin Lewis attended the 9th Annual Long Island Region Golf Outing, where he worked all day to refill coolers with bottled water and help wherever needed. Town of Brookhaven White-Collar Unit Executive Vice President Walter Dunn checks to see where his golf ball has landed. 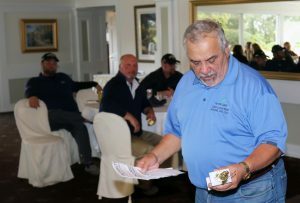 Town of Riverhead Unit Vice President Robert Tedesco cleans off his golf club. Michael Smith is a proud CSEA member.